Note: This unit will only work with the Philips Respironics System One 60 Series of CPAP and BiPAP machines. Model #s DS220, DS260, DS460, DS560, DS760, and DS960. This humidifier wil not work with the older 50 Series models. 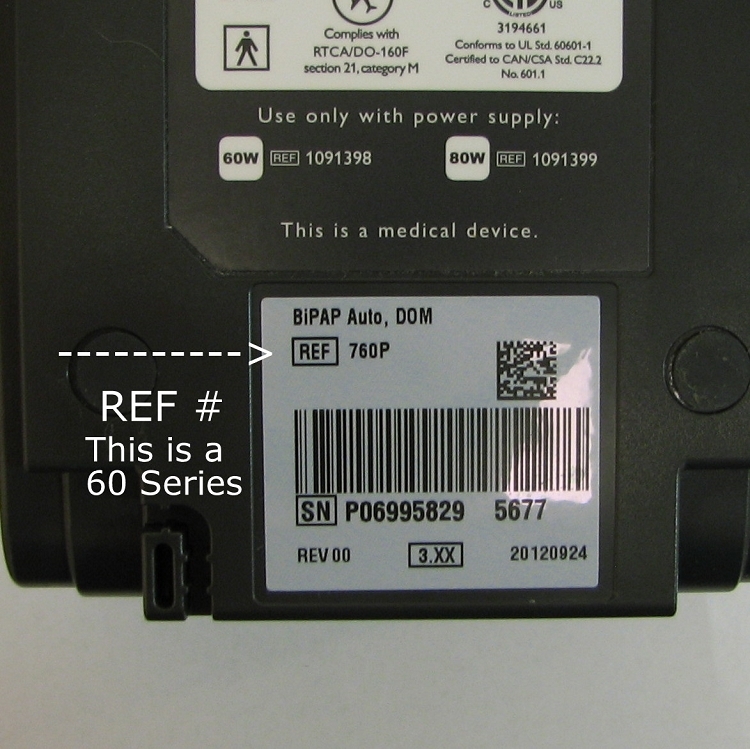 The model number of your System One cpap or BiPAP is indicated on the bottom of the machine near the serial number. View the picture above to determine how to tell if your cpap or bipap is a 50 or 60 Series model. With the System One Heated Tube, you get increased humidification plus rainout protection. The System One device incorporates a room temperature and humidity sensor with a temperature sensor at the end of the heated tube to deliver the selected level of humidity to the user while providing protection against rainout. As a result, higher levels of humidity can be achieved for users who can benefit from humidification. 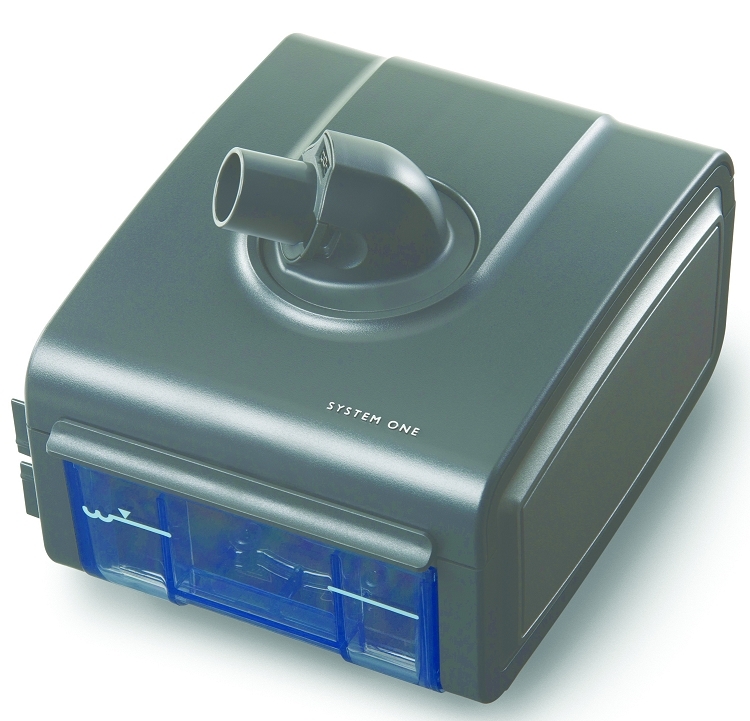 The Philips Sytem One Heated Tube Humidifier Kit includes everything needed to add or upgrade the humidifier to the 60 series of cpap and BiPAP units. This kit is compatible with the DS220, DS260, DS460, DS560, DS660, DS760, and DS960, The kit includes the System One Humidifier, water chamber, 80 watt power supply, and heated breathing tube. This kit includes the heated tube but it can be operated with standard 22 mm or 15 mm slim line tubing.